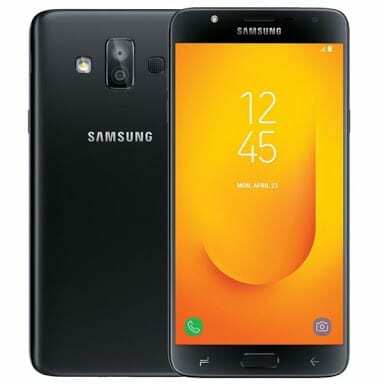 Samsung Galaxy J7 Duo has been launched by Samsung as a midrange smartphone and the latest addition to their J series. The J7 Duo supports dual Micro SIM and boasts of dual rear camera, the third from Samsung. Samsung is steadily bringing the trending dual camera to their midrange series this year, just like we saw on the . The Galaxy J7 Duo boasts of 4GB RAM, runs on Android 8.0 Oreo with a Super AMOLED screen. Want to know more? Stay with me. 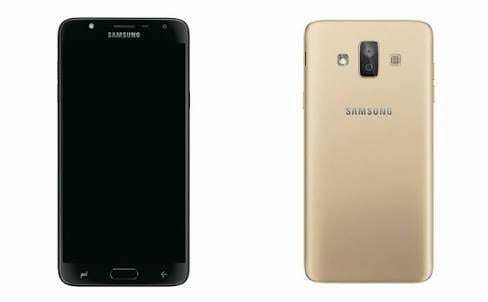 What is Samsung Galaxy J7 Duo Price and Availability Status? The device has a Plastic cover that’s removable, if you want to insert SIM card or change the battery. Nonetheless, the smartphone looks beautiful and sleek just like Samsung makes them. The highlight at the rear is definitely the dual vertical shooters at the top middle. There’s a LED flash sitting just at the left beside the shooters, while the Samsung logo is at the usual position. The slim device measures just 8.2mm in thickness and weighs 174g overall, making it easy to hold and operate with just a single hand. It’s available in only Black and Gold colors only. Well, it looks like the J series won’t be getting the privilege the A series got, the Samsung Galaxy J7 Duo ships with lots of bezels and dishes out a 16:9 aspect ratio screen. To what it’s worth, the narrow bezels are invisible, while three navigation buttons sit at the bottom bezel including the physical home button. There’s also a front LED flash at the top for night selfies, which means Samsung has joined other OEM on the trend. Moving further, the 5.5-inch Super AMOLED capacitive touchscreen displays like a budget smartphone to be honest. With a resolution of 720 x 1280 pixels and 267 pixel per inch density, the screen is a little disappointing. Don’t Miss: Samsung Galaxy S9 Plus VS iPhone 8 Plus: Which Plus version is better? Houses the Exynos 7870 chip from Samsung with Octa-core processor and 64-bit CPU architecture. The 8-cores of processor on the Galaxy J7 Duo reaches a speed of 1.6GHz with 28nm process technology. Administrating graphics is the Mali-T830 MP1 graphics processor. Multitask through heavy apps with 4GB RAM space available, it has a memory speed of 1GHz. For storage, 32GB storage space is available as well and ready to house your files and apps. You can always upgrade up to 256GB using a memory card whenever you want. The Galaxy J7 Duo runs on Android 8.0 Oreo. The 13MP + 5MP rear shooters both have f/1.9 aperture respectively. A perfect combination of cameras to help with all your photography needs. The cameras come with lots of features like touch focus, face detection, panorama, HDR, autofocus, LED flash and others. The 8MP selfie camera boasts of a f/1.9 aperture lens as well with a LED flash for night selfies and video calls. Powering the Samsung Galaxy J7 Duo is a 3000mAh removable Li-Ion battery with no fast charging technology. Even without the fast charging feature, it shouldn’t take up to 2.2 hours to fully charge up the battery from 0% to 100%. 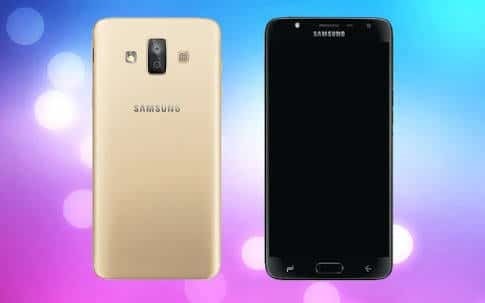 The Samsung Galaxy J7 Duo is available on Shopping stores from $249 (N80,000) to $299 (N100,000). Click on the links above to view the latest Samsung Galaxy J7 Duo price & availability on Shopping stores.